Like friends who all shine with their own unique talents, these flowers each bring something new to the group. 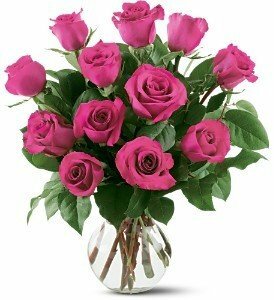 Hot pink roses for happiness and adds class. Standard Bouquet includes 12 stems. Premium Bouquet includes 24 stems.